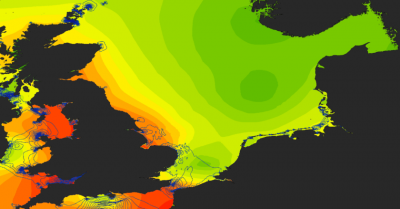 The North Sea Checkpoint project is a pilot launched by DG MARE designed to assess the usage of available data in answering questions about the North Sea. Alongside its counterpart, Mediterranean Checkpoint, it was launched in November 2013. For both projects, the assessment is undertaken through a series of seven challenges acting as a way of providing proxy projects which may face policy makers, commercial or other marine users, requiring usable data in order to deliver them. In essence, the question being answered in the checkpoint projects is: is what role do EU initiatives such as EMODnet and Copernicus play in providing information? Indeed, since the context of this data accessibility is also whether or not it meets the needs of economic activities and innovation in the marine area, looking further at the entire field of marine information provision has been a priority for the North Sea Checkpoint Project. Much of the monitoring, data collection and aggregation has been undertaken by public bodies and the academic community, whose efforts have been extensive. However, the driving factors in the blue economy of commercial users may not directly match to the experiences of the academic and public sectors who are already very involved in the EC initiatives. It is recognised that much of this activity is to inform policy makers and decision takers, thus providing a commercial focus provides a wider feedback field than concentrating solely on meeting regulatory and legislative reporting requirements. Contribution – Does the data contain the right parameters? Location – Does the data cover the correct time / space location? Commercial – Are the commercial terms acceptable? Attributes – Does the data have the correct attributes? Delivery - Can the data be provided to match the timeframe of the challenge? Usability – Is the data format and supporting information suitable? As each challenge is performed, we are capturing information relating to these criteria, with the aim of providing a data brokerage tool, which we have named the “Data Advisor”.